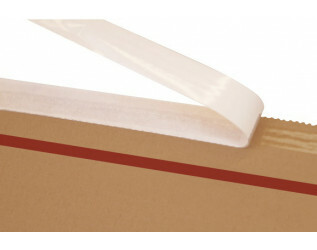 Flexible postal mailers for protecting books, printed materials, DVD's and other media while in transit. Made from durable cushioning single wall cardboard, the postal wrap includes a strong peel and seal self-adhesive closure and tear strip for ease of opening. The design includes a multi-score depth fold to accommodate varying sized products that can be packed in secured in seconds. The sizes have been designed specifically to fit within the Royal Mail PiP guidelines to minimise postage costs. 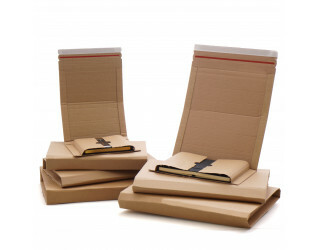 These postal wraps are ideal for retailers and ecommerce businesses looking to efficiently pack and dispatch volume orders of varying sizes securely, whilst also minimising postage costs. The range includes seven sizes with large discounts available on pallet quantities. Postal Mailers fitting Royal Mail PiP large letter sizing are also available in A4 and A5 sizes.